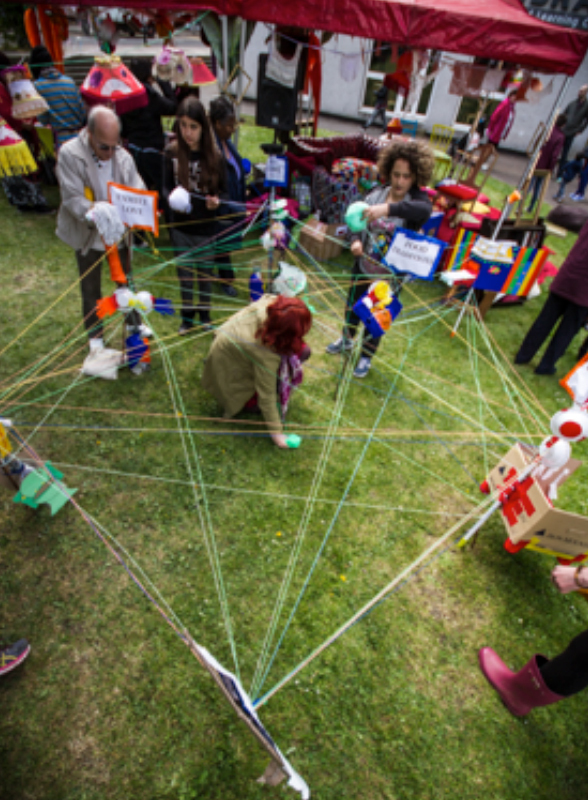 Cultural Placemaking in Roehampton came from a long-standing commitment to programming and supporting a range of creative activities in an area many considered to be over-looked and under-privileged. In recent years, the activities led by Enable Arts have complemented local redevelopment programmes. Work has included spectacular events, installations and creative community take-overs, that have inspired local ownership and better use of public space helping to ‘grow’ community spirit and pride, connecting people, places and resources. Community engagement has been at the heart of all activities and a significant legacy of our work in Roehampton has been the establishment of the Roehampton Outdoor Arts Movement (ROAM) – a network of local individuals, organisations and businesses with an interest and ongoing role as stewards of local cultural life.